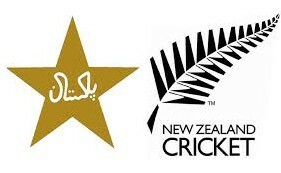 Last and final T20 (Big game) coming, Match begin at 06:00 GMT. Mohammad Hafeez, Shahid Afridi(C), Umar Akmal, Mohammad Rizwan, Aamer Yamin, Shoaib Malik, Ahmed Shehzad, Anwar Ali, Iftikhar Ahmed, Imad Wasim, Mohammad Amir, Saad Nasim, Sarfraz Ahmed(W), Sohaib Maqsood, Umar Gul, Wahab Riaz. KS Williamson(C), CJ Anderson, TD Astle, Brendon McCullum, TA Boult, GD Elliott, MJ Guptill, MJ Henry, TWM Latham, MJ McClenaghan, AF Milne, C Munro, L Ronchi(W), LRPL Taylor, MJ Santner.